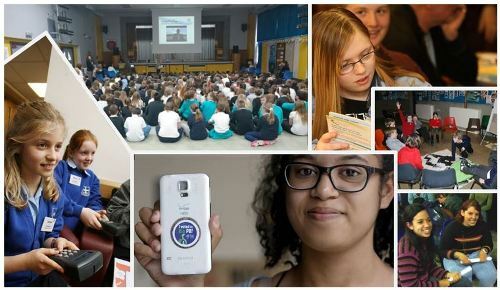 School based PB, through promoting social action, develops student leadership, supports student and school success, promotes student and parent voice, and involves the entire school in meaningful civic experiences. Participants learn democracy by doing it. Organisations such as #IWill and OFSTED have seen the link between social action and curriculum enhancement. Shared Future CIC, with our unrivalled expertise in participatory budgeting through our PB Partners, and WerdelinEducation, specialists in cooperative learning, are now collaborating to enable UK schools develop their own participatory budgeting processes. The first step in this new partnership was a webinar on the 27th March 2019. You are invited to join some exceptional colleagues to explore a manageable civic engagement programme aligned with the 2019 OFSTED framework. Our work is inspired by the development of PB in Schools in the USA, and also the experiences happening in Scotland, as a result of the exciting Community Choices programme, led by the Scottish Government, which has already seen millions of pounds spent through PB. Over the next few years this will grow. Schools can and should be central to building the citizens of the future. View some of the work already happening on PB in schools in the videos below.